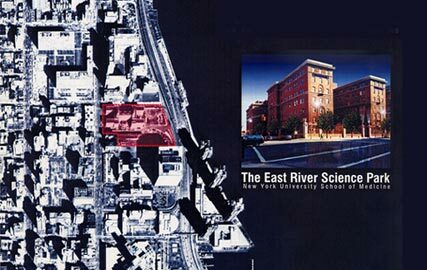 For the NYU School of Medicine, we coordinated the preparation of a proposal for the development of East River Science Park, a one million square foot biomedical park intended to promote the growth of NYC-based biotechnology enterprises. The proposal was made in response to a competitive site offering from the City of New York and succeeded in securing site control for the University. Thereafter, we managed site planning, industry marketing and transaction negotiations with the City and prospective developer/partners.